Senator Erik Simonson represents District 7 in northeastern Minnesota. He was first elected to the Minnesota Senate in 2016 after serving four years in the House of Representatives. He and his wife have two children and live in Duluth. 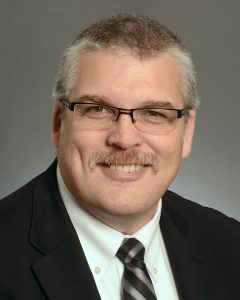 Senator Simonson retired after 27 years as an assistant chief from the Duluth Fire Department in 2017, and is currently employed by the Lake Superior Zoological Society as their Chief Executive Officer. He enjoys spending time with his family, traveling, and learning every day about better serving Minnesota. Erik’s favorite view of Duluth is from Skyline Drive.